Sri City, Apr 22 :- The Institute for Financial Management & Research (IFMR) held convocation-2017 in its Sri City campus today. 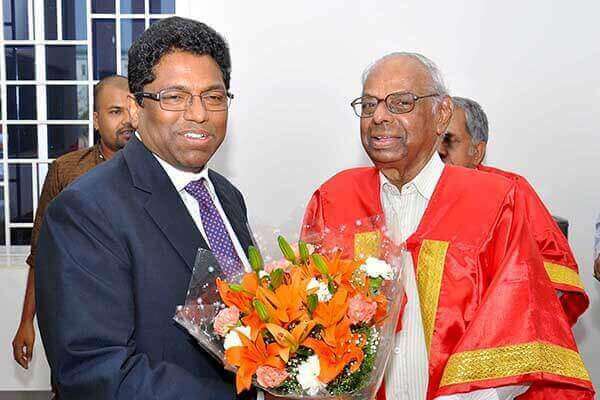 Dr. C. Rangarajan, former Governor, Reserve Bank of India (RBI) ; former Governor of Andhra Pradesh ,former Professor of IIM Ahmedabad & currently Chairman of Madras School of Economics was the Chief Guest and delivered the convocation address. (Full-Time) Students and 2 PhD scholars were awarded the graduation certificates. The event started with the welcome address by Dr. C V Krishnan, President, IFMR. Prof. P K Biswas, Director, IFMR while presenting the annual report of the institute, mentioned that students have got 100 percent placements in top companies through campus recruitment with high salaries. Prof. T. N. Srinivasan, Member of IFMR Board was also present in the function. A not-for-profit society, the Institute for Financial Management & Research (IFMR), is a leading business school with the objective of moulding ambitious young men and women into competent and socially responsible organisational leaders in a global setting. IFMR currently offers full-time PGDM programme, PhD programme and open and customised management development programmes. IFMR has been ranked all-India 22 in The Hindu Business Line- MBA universe annual B-School ranking 2016-17 and was also ranked 38 among all management institutes in India in the Government of India- Ministry of Human Resource Development’s National Institutional Ranking Framework (NIRF) ranking for 2017. IFMR also bagged the 2016 MMA Award for Managerial Excellence and also bagged the IMC Gold award for IFMR’s Institutional Leadership Efforts in strengthening the research eco-system during the 7th Indian Management Conclave 2016 held at IIM-Ahmedabad. 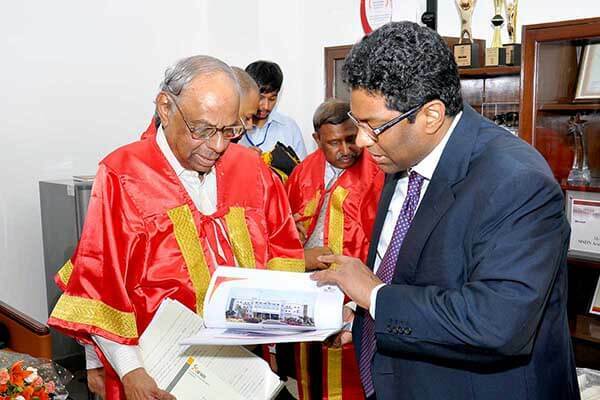 IFMR has recently received the letter of intent from the Andhra Pradesh State government for a Private University.